For a few years, my middle child was afraid of Ash Wednesday. He’d sit patiently through the homily, mumble along with Psalm 51 as best he could, but balk at the main event: the imposition of ashes. So he’d stay behind in the pew while his brother, sister, and whichever parent wasn’t leading worship filed forward to receive the oily, ashy smudge. “What makes you think it hurts?” I asked. I could see the undulating glow of burning embers in his imagination, and I understood. But in a way, he was right. The words we hear on Ash Wednesday as a finger traces a cross on our foreheads—Remember you are dust, and to dust you shall return—are scorching words. Who would choose to come forward as the curtain is pulled back, and we glimpse the future, our futures: dust? On the other hand, which is worse: walking with others to stare down our common destiny, joining the people of God in rehearsal for the time when each of us will have to confront this truth—dust—for ourselves; or staying behind, contemplating mortality alone? Not everyone gets to choose. Last week I read the stunning memoir, Everything Happens for a Reason (and Other Lies I’ve Loved), by Kate Bowler, a professor at Duke Divinity School, who was diagnosed with stage IV colon cancer at the age of 35. She didn’t have the luxury of staying in the pew. The ashes came for her. I also loved the supporting characters, the friends who choose to walk with Bowler in the valley of the shadow of death as far as they can even though they have nothing to offer—no magical incantations, no curative essential oils, no prescriptions for joy—but their wholehearted presence. There’s Frank, a seminary colleague of Bowler’s and a Lutheran minister. “When my older colleague Frank, who lost his own adult son, found his way into my hospital room, he wrapped his strong hands around mine and said, quietly: ‘I wore this clerical collar to impress you. And also to get through hospital security.’” Presence. Connection. Humor. And there’s Ray, a friend and pediatric oncologist. Ray has been in the room countless times with parents, sharing good news and bad; he’s watched patients recover and eased their dying; he’s one of the few people with whom Bowler can share the depths of her fear. “‘Are you okay?’ he asks. ‘Yes, yes, I’m okay. Except for about 10 minutes a day, I’m okay.’ Anyone else would have left it at that. He looks at me carefully. ‘What does it look like? Those 10 minutes?’ he asks.” Not anyone could stay with her to hear her answer, but Ray does. I found myself choking up as Bowler shares these encounters, because the miracle of Frank’s and Ray’s capacity to enter her suffering, without trying to fix her, testifies to the beauty of what she’s discovering: God is here. We are loved. It is enough. There is such hope and beauty in the quiet folks who show up, love, and dwell with Bowler in the place of dust. Can Ash Wednesday be that kind of place? 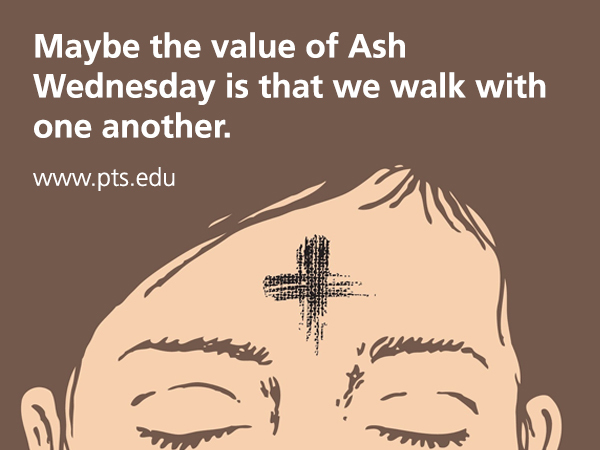 Maybe the value of Ash Wednesday is not just the practice it gives us in acknowledging and facing our own mortality. Maybe it’s that we do it together, that we walk with one another toward the man or woman in the robes and with the darkened fingertip ready to mark us and utter those scorching words. And maybe the power of Ash Wednesday is that we are brave enough to eavesdrop as someone beside us—a husband, wife, partner, parent, child—hears those portentous words as well. And we don’t recoil from them; and they don’t from us. Tonight our family will huddle together in a pew. We will say Psalm 51. And then we will walk forward. We will look together into this crystal ball and see our future: dust. We will do this as a choice, knowing it might not be a choice next week, month, or year. We will practice being a miracle for one another, thankful that in several weeks the church again will pull back the curtain, will show us the future—the whole future this time. How should you decide what you are going to give up—or take up—for Lent this year? As kids would say when I was young: NOT! 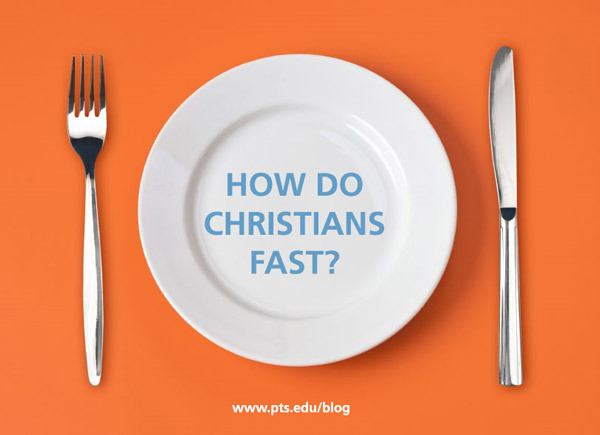 St. Thomas Aquinas, the 13th century theologian, prayed, “Put my life in good order, O my God.” But we are prone to view Lent as the season during which we put our lives in good order for God. It’s like Jan. 1 all over again: we pile on the discipline, the resolutions, and the good intentions so that by Easter we’ll be the saints we want to be—and recognized for it. God is there ready to do everything for us, loving us unconditionally. In other words: Don’t be a hero. We are not the first to be tempted to spiritual heroics. In the rule he wrote for monks, the 6th century St. Benedict cautioned moderation in all things, including Lenten discipline. He required each monk to inform the abbot of his plan to observe Lent as a way to avoid pride, the assumption being that the abbot might say, “That’s a little much; back off.” Of course, what seemed moderate in a 6th century monastery might feel extreme to us, but the principle of moderation remains the same regardless of the century. Take whatever you were imagining you might do in Lent and reduce it by 50 percent. Why set yourself up for failure? You were going to read 10 psalms a day? Make it five. You were going to spend 30 minutes in silent prayer each evening? Make it 15. You were going to call your most aggravating friend twice a week? Make it once. Better to do something that makes a little space than try to make a lot, only to throw in the towel by the second Sunday of Lent. Don’t give up chocolate because everyone else is doing it. Ask yourself: Where have I been longing for freedom in my life? What way of prayer has been calling my name? Have you wanted to spend time in silence, meditating on Scripture, but haven’t found the time? Lent might be a chance to begin. You’re more likely to keep at something that comes out of your own God-inspired longing. St. Benedict was right—we’re more likely to overachieve if we keep our discipline a secret. Why not run it by a trusted friend or spiritual mentor—someone who knows you, your ambitions, and your blind spots? There’s a chance that when you say it out loud and see the look on your friend’s face, the truth might hit you: I’m trying to be a hero, aren’t I? 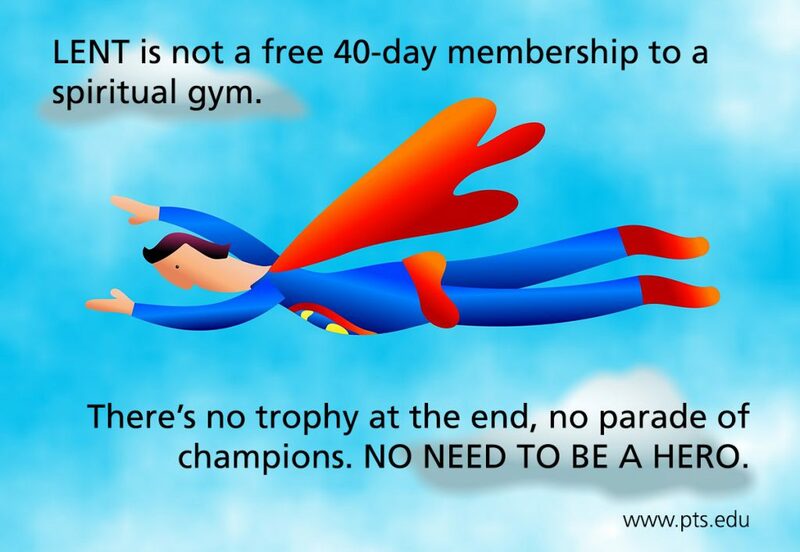 Lent is not a free 40-day membership to a spiritual gym. It’s an invitation to make space that opens us to God’s forgiving, healing, loving presence. There’s no trophy at the end, no parade of champions. No need to be a hero.